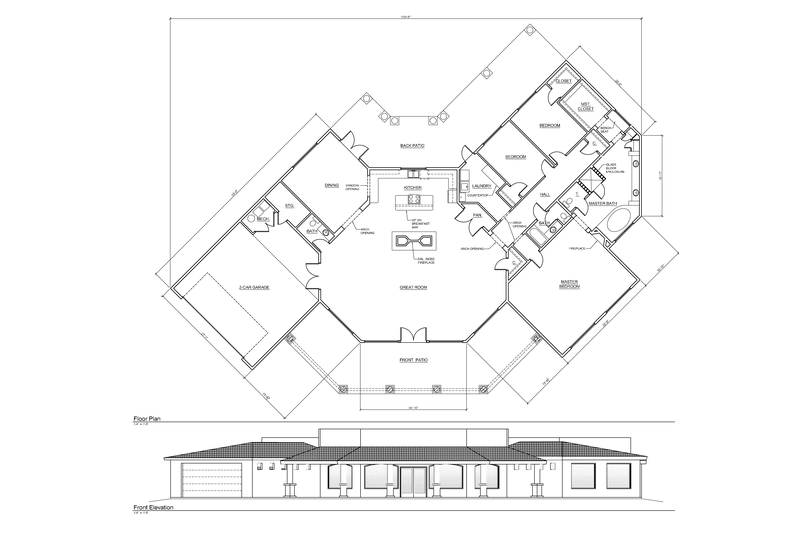 All floor plans are negotiable Contact us for more information. Note: To have a better view of the floor plan save and open on your computer. Cadman Design uses Computer Aided Drafting (Revit Architecture 2017 and Autocad Architecture 2016). To create clean and accurate drawings. "I have worked with Alex for over 10 years. Alex has excellent work ethics and he is very professional in his approach to work. He is patient and takes time to review each project, and asks questions to ensure clients satisfaction as well as designs compatibility with both city and county building code requirements. Alex is knowledgeable about building codes and specifications that guarantee design approval by plan inspectors. He is timely and does everything possible to ensure clients satisfaction. I have worked with a number of draftsmen but Alex has undoubtedly demonstrated to be one among several that I can confidently recommend to anyone. In short, his jobs are of high quality and very satisfying." "Alex has very good knowledge of structures and practical application of construction techniques. His computer drafting skills and architectural implications are excellent and detailed. He is very pleasant and easy to work with."